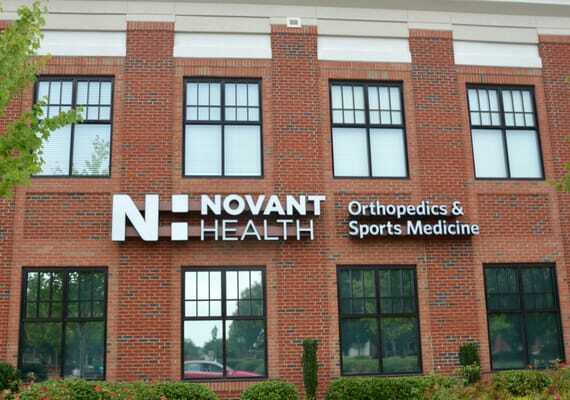 WINSTON-SALEM, NC — Novant Health has partnered with Salem Academy and College to provide advanced sports medicine care to the college’s student-athletes. The new contract began with the 2018-2019 academic year. With this new program, Salem Academy and College will now have a full-time athletic trainer, Ariel Zaleski, on campus. Dr. Chris Christakos, a sports medicine specialist with Novant Health Salem Family Medicine, and Dr. Mark Schweppe, an orthopedic surgeon with Novant Health Orthopedics & Sports Medicine, will serve as the school’s team physicians. Bob Casmus, a certified athletic trainer and supervisor of Novant Health’s athletic trainers for the Greater Winston-Salem market, will serve as a sports medicine consultant. Trish Hughes, director of athletics for Salem College, said the partnership will provide a higher standard of care for Salem College student-athletes going forward. For information about sports medicine services visit NovantHealth.org/sportsmedicine.